Note: I know this is very, very, very old news, but I was looking at some rough drafts of unfinished posts I’d started awhile back and figured I’d put my two cents in about the game anyway, as it’s Asia-related and even spawned a feature film directed by Takashi Miike. 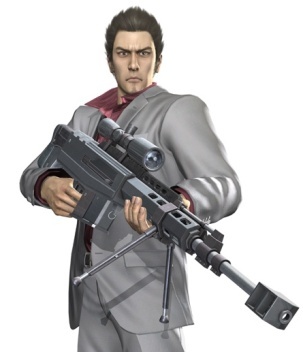 Yakuza 3 — aka Ryu ka gokuto 3/Like a Dragon 3 — came out on American shores on March 9, 2010. Rather than purchase God of War III or Heavy Rain, two well-reviewed games which were both released around the same time, I decided to plunk my hard-earned money down for the third installment in Sega’s “popular only in Japan” gangster series. Why? 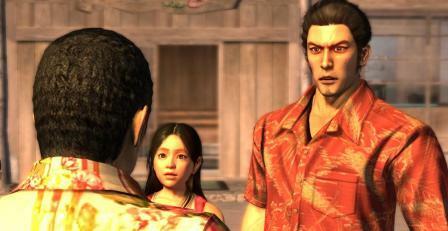 Well, I became a fan of the franchise when I bought Yakuza 2 for the PS2 based on positive word of mouth. I ended up loving it, as its addictive gameplay provided a welcome respite from the doldrums of preparing for my PhD qualifying exams. After I completed the game and passed my exams, I searched out and found a used copy of the original game at a local Gamestop. Featuring a “name” English voice cast that includes Mark Hamill, Michael Madsen, Rachael Leigh Cook, Eliza Dushku, Dwight “Howling Mad Murdock” Schultz, and Alan Dale (LOST’s Charles Widmore), the game is quite good as well, although the controls are predictably less advanced than its predecessor. It also didn’t help that the plot of the entire game was already spoiled for me by very cool cutscene “movie” available in Yakuza 2 that provides all the relevant backstory. My enthusiasm for the series even motivated me to track down the Takashi Miike movie Like a Dragon, which adapts the events of the first game with, I’m sorry to say, very mixed results.